Grab your loved ones and fire up the barbecue! With ample room to comfortably seat four, our Berlin Gardens 48" Round Poly Patio Table is sure to be an intimate conversation table where you and your loved ones can enjoy every outdoor occasion! With the included umbrella hole and matching plug, you can easily incorporate your favorite umbrella for those extra bright days or take it down for a seamless look when you need the extra table space! Handcrafted by skilled Amish woodworkers, from an environmentally friendly wood alternative known as Poly Lumber, your 48" Round Dining Table is made to last decades without maintenance. Because of it's construction, poly furniture will not chip, crack, rot, or develop mold and if you ever need to clean it, soap and water will do the trick! Backed by a twenty year warranty for residential use, invest with confidence knowing that your Berlin Gardens Outdoor Furniture will last decades, even when left outdoor all year long! 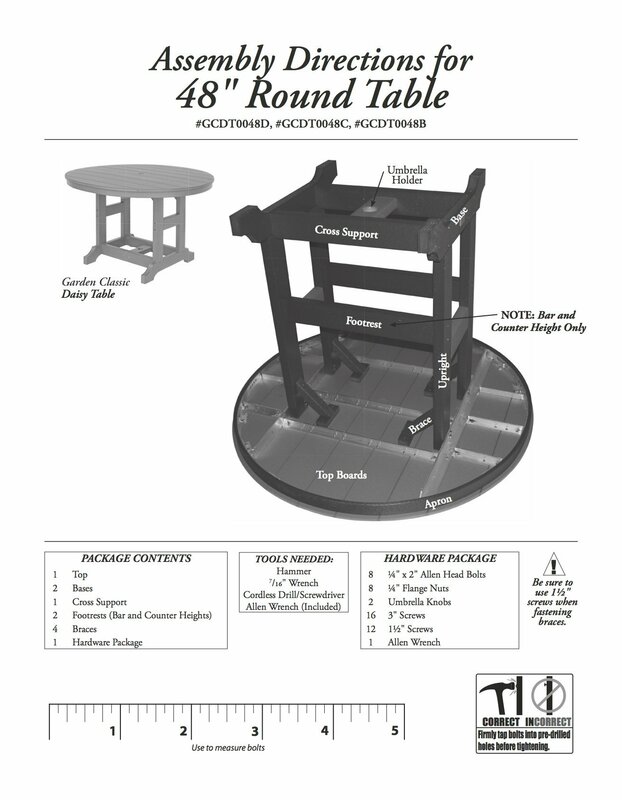 * Please note - some photos shown depict our Amish 48" Round Poly Patio Daisy Counter or Bar Height Table (Product ID: 43023 ). 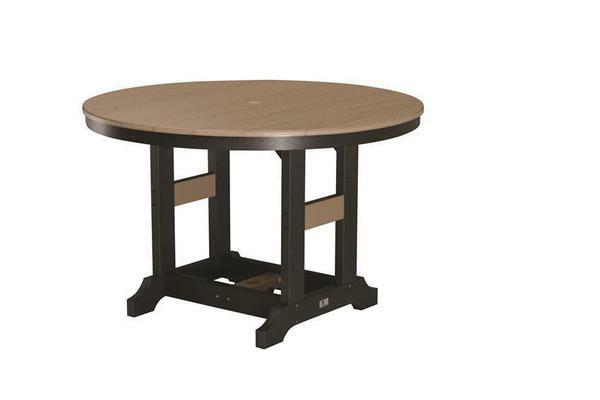 * Please note - some photos shown depict our Amish 48" Round Daisy Counter or Bar Height Tables (Product ID: 43023).